Stewart’s advocacy is powerful and practical and is synchronized perfectly with the voices of today calling out for change." Stewart calls out the domineering historical legacies of conquerors and of religion that have sought to silence the stories of women. She argues elegantly for women without the shrill overtones of desperate anger that conservative critics might dismiss. 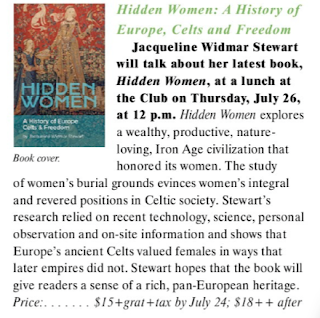 Stewart’s tone will appeal to all readers of history as she celebrates Celtic women and connects their legacy with present-day social issues. 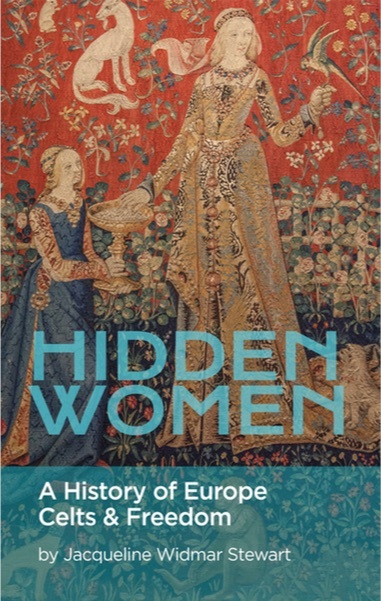 Stewart, not content to merely criticize, offers solutions to the problems women face because of historical misrepresentations, inaccuracies, and the inheritance of patriarchy. Hurrah! 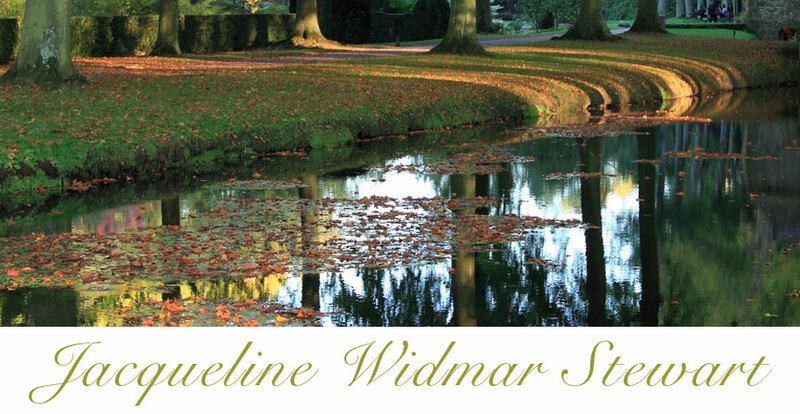 An abbey where women are welcome again! Starting off the first night in an abbey in a factory town in eastern France set the tone for our entire 2-week trip. Abbaye Prémontrés sits on the Meuse river just across the water from a distinctive triangular square. 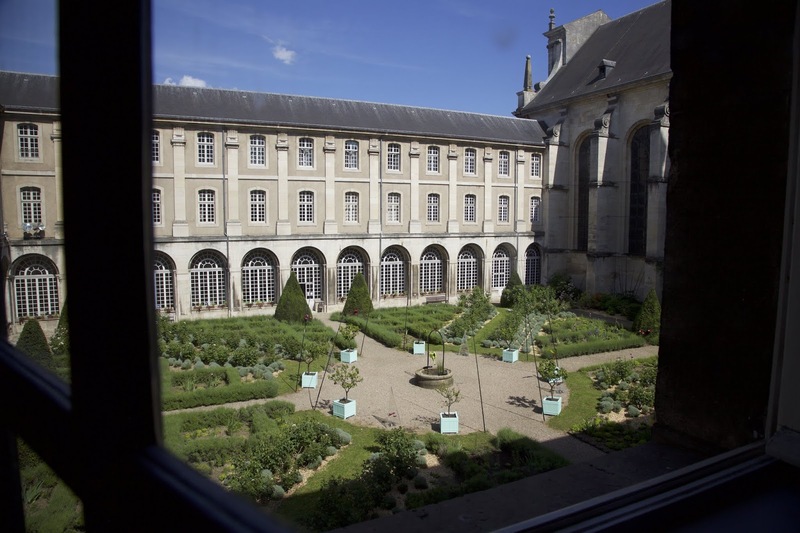 The Abbaye has returned to community use through a foundation that runs it, with its rooms buzzing once again with seminars and festivities. The evening we happened to be there coincided with the opening of the fragrant gardens that graciously extend the interior spaces. Had we known at the beginning of our trip what we formulated by the end, we would have tried to visit the Celtic festival hall. One of the lessons from this trek around northern Europe is that even the smallest Celtic villages often contain festival halls. Repurposed as Christian churches, some of these makeovers leave few traces of the old origins, especially when the stones have been whitewashed and a predominance of religious artifacts installed. That’s not always the case, though, because some retain their Celtic ways. The ceilings, arches, medallions, reliefs that top of pillars, and sometimes even the windows carry forward ancient symbols and styles. Occasionally the bright colors and designs remain on the ceiling beams, pillars and murals. When women are portrayed as graceful, joyous, or warriors, it is a good bet that they are Celtic. More soon. Thanks for checking in.